Eugene Bostick may have officially retired about 15 years ago, but in some ways that was when his most impactful work began. Not long after, he embarked on a new career path of sorts — as a train conductor for rescued stray dogs. The lively 80-year-old Fort Worth, Texas, native says he never planned on dedicating his golden years to helping needy pets. Instead, it was a duty thrust upon him by the heartlessness of others. "We live down on a dead-end street, where me and my brother have a horse barn," Bostick said. "People sometimes come by and dump dogs out here, leaving them to starve. So, we started feeding them, letting them in, taking them to the vet to get them spayed and neutered. We made a place for them to live." Over the years, Bostick has taken in countless abandoned dogs. But more than just keeping them safe, he's found an adorable way to keep them happy, too. While the rescued dogs have plenty of room to run and play on Bostick's farm, the retiree thought it would nice to be able to take them on little trips to other places as well. 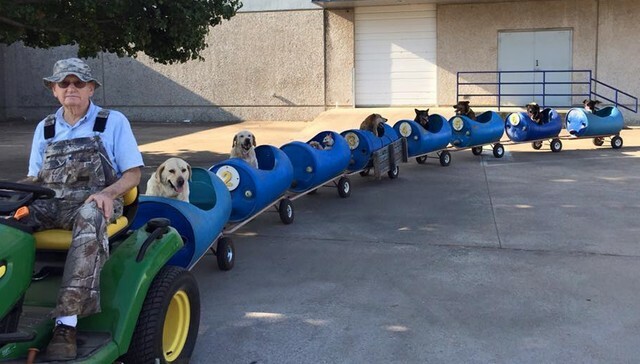 That's about the time he was inspired to build a canine-specific form of transportation just for them. "One day I was out and I seen this guy with a tractor who attached these carts to pull rocks. 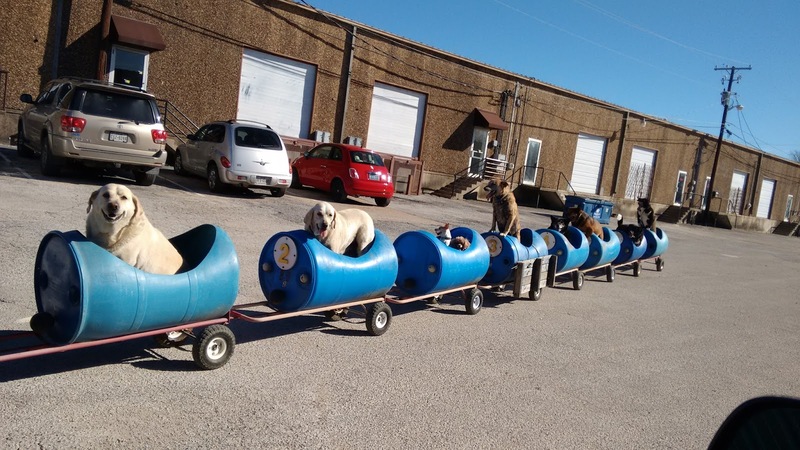 I thought, 'Dang, that would do for a dog train,'" said Bostick. "I'm a pretty good welder, so I took these plastic barrels with holes cut in them, and put wheels under them and tied them together." And with that, the dog train was born. 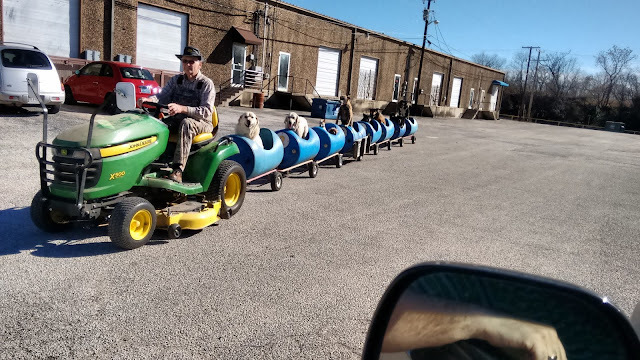 Responses to "Man Builds 'Dog Train' To Take Rescued Pups Out On Little Adventures "
Good on you sir,you are a saviour and they are so lucky to have you to care for them.